Red Aventurine is made of SiO2 - Silicon Dioxide with inclusions of Pyrite, Goethite or Hematite. Red Aventurine is a type of Quartz that is characterized by brilliant inclusions of Mica or other minerals that give the stone a glistening or shimmering effect. This is often referred to as aventurescence, and it’s especially noticeable in polished or tumbled stones. Red Aventurine enhances creativity, prosperity, diffuses negativity, and balances the male-female energies. 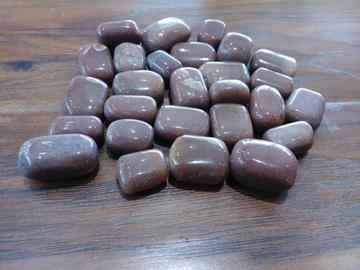 Red Aventurine can also help to ground excess energies within the body. Red Aventurine benefits the thymus gland and nervous system. It helps to balance blood pressure and as an elixir can aid in skin problems. 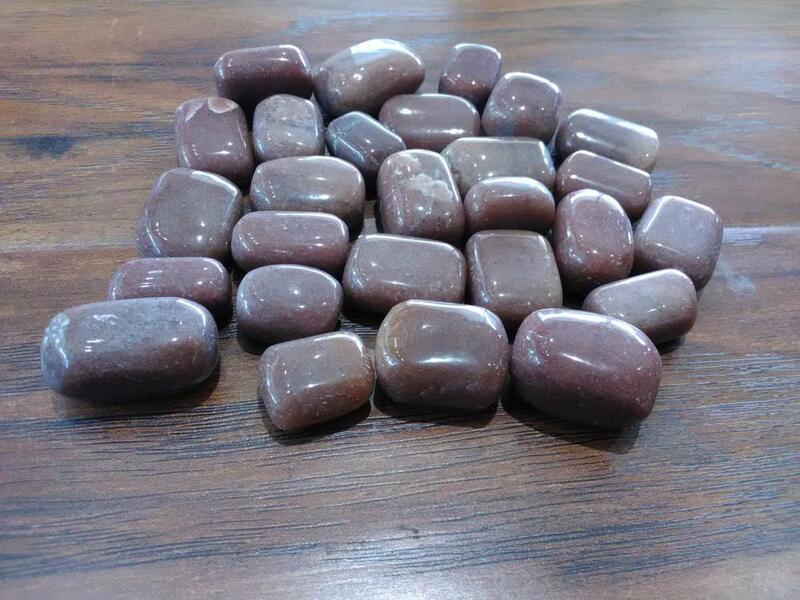 Red Aventurine assists in the area of fertility, reproductive organ issues, cancer and hormonal imbalances. Stone Sizes Range From - 1/2" - 1 1/8"